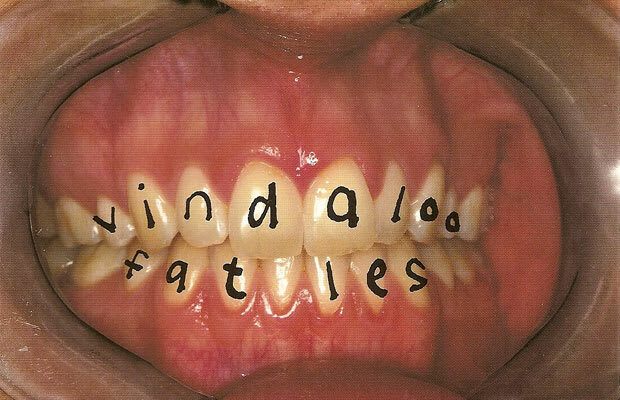 Hirst’s band Fat Les had a huge hit with their single Vindaloo. The goofy, loud soccer chant went to #2 on the UK charts with its release in 1998 (as an unofficial World Cup anthem), and made an appearance again, though not quite so high, during the most recent World Cup. Between bouts of repetitive chanting, one of the song’s few lyrics asks, “can I introduce you please to a lump of cheddar cheese?” (and they don’t mean cheddar like money), and then boasts eating vindaloo – the spicy Indian curry – by the bucketful. Let’s hope they have Pepto Bismol by the bucketful, too. The band’s other bizarre singles include “Naughty Christmas (Goblin in the Office)” and “Who Invented Fish & Chips?”, which features a young Lily Allen.